Ich bin Gestalter und Illustrator und seit 20 Jahren beruflich in verschiedenen Designdisziplinen tätig. Wenn Sie oder ihr Business anspruchsvolles Artwork und/oder Design benörigen, sprechen Sie mich gerne an! I`m a graphics artist and I´m in business for more than 20 years. If you have a project I may be able to help on, please get in touch. 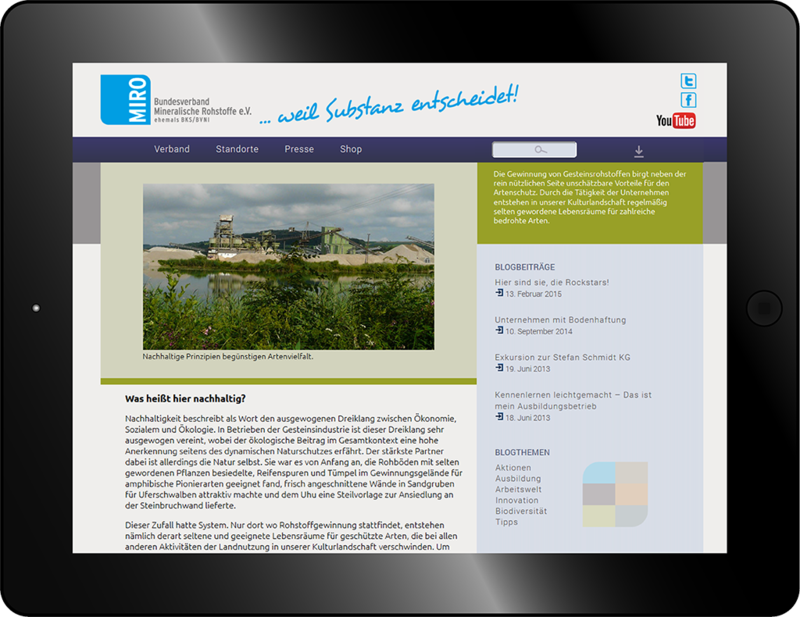 The 'Bundesverband Mineralische Rohstoffe (MIRO)' is an organisation that represents companies of the raw materials and building industry. 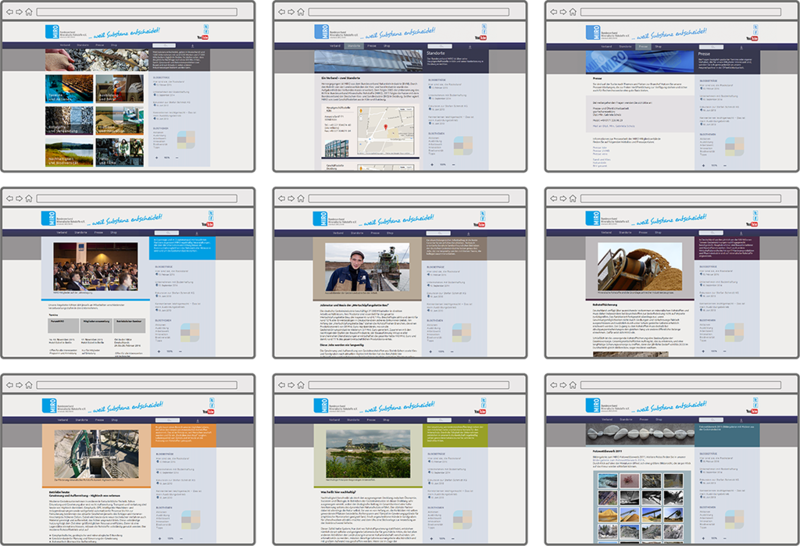 I was responsible for the redesign and relaunch of the MIRO-Website. 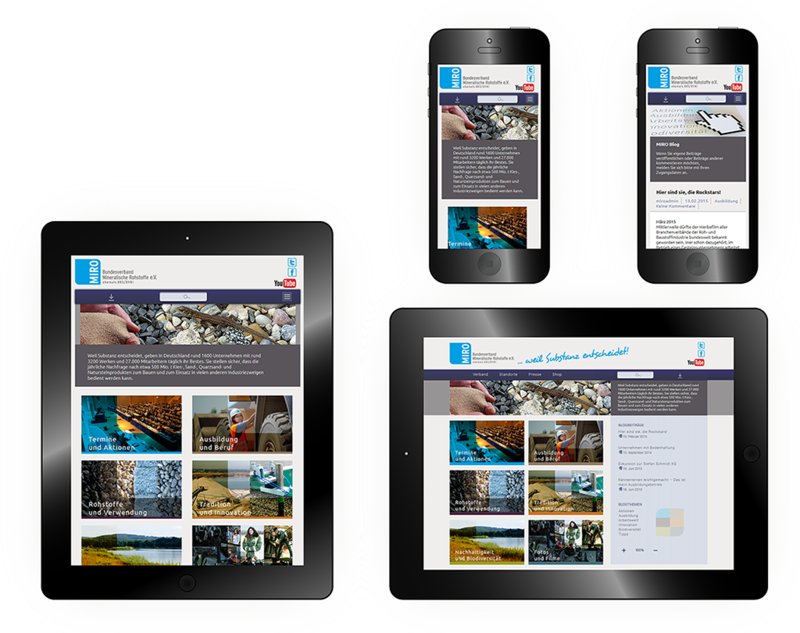 The new, responsive site features a blog to strengthen social media activities by MIRO members and a magazine area. 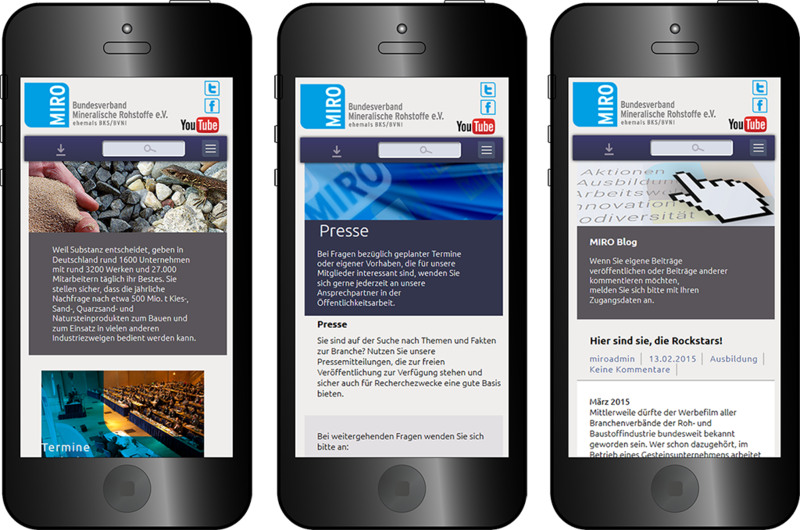 The MIRO Website uses wordpress as cms.